Each quarterly box will contain three of the best new releases, luxury bookish goodies and author exclusive content. 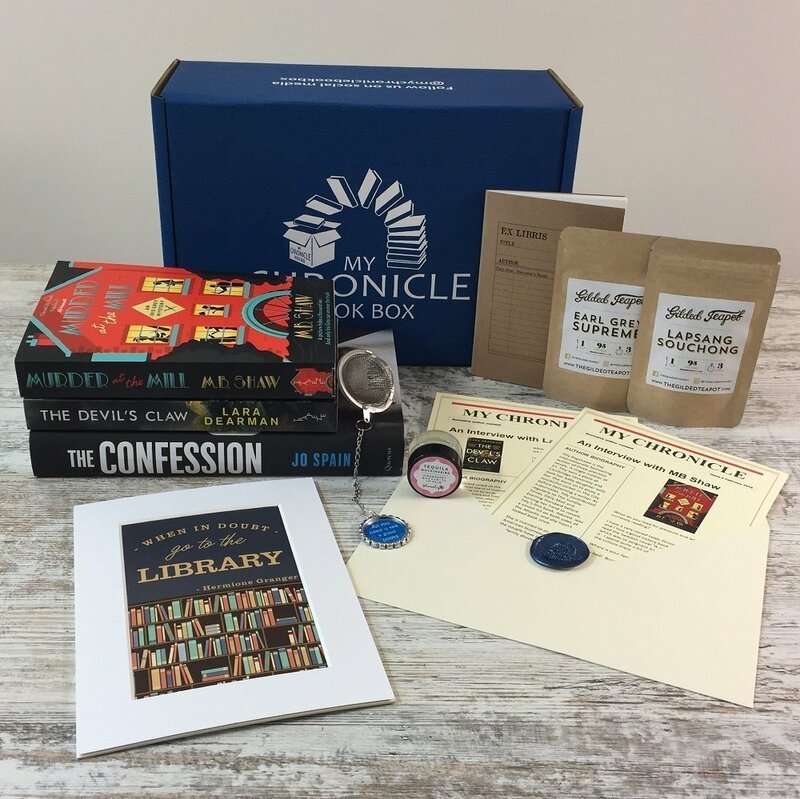 Your first box will be the May 2019 box, limited quantity curated, so order now to secure yours! Ships around 1st May 2019. Renews automatically, modify or cancel anytime, no commitment. Always have something worthwhile to read. 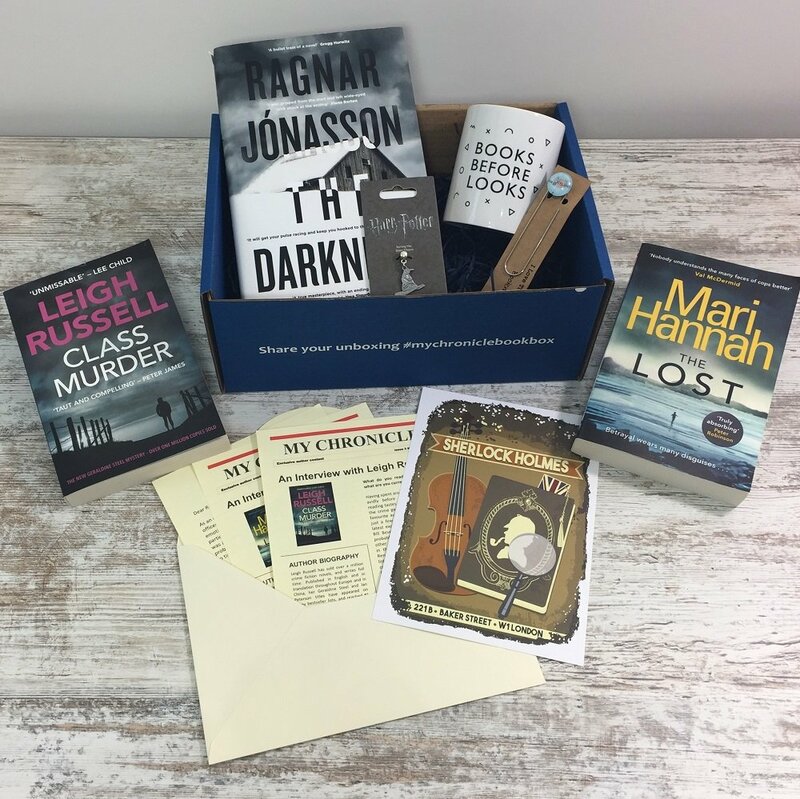 From cosy crime to gritty crime thrillers, amateur sleuths to experienced detectives, fast paced and action packed to intricate puzzlers. 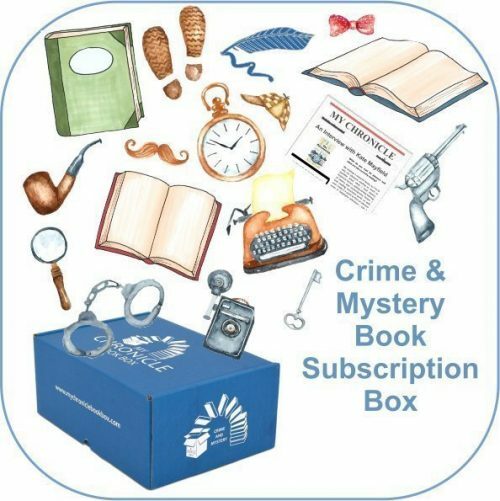 You will find excellent reads from top authors to love in every crime and mystery book box. What will you discover? Please remember it renews automatically, but you can modify or cancel anytime, no commitment. In the unlikely event you change your mind before the shipping date, we will refund any payments. Please see our terms and conditions for full details. 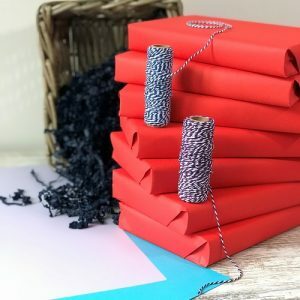 UK mainland and Northern Ireland delivery is £3.90 per box for delivery using Royal Mail. For all other locations worldwide we add a delivery cost based on location, as charged by our chosen courier. Full shipping costs are available on the cart page by using the "calculate shipping" button before you proceed to checkout. ♥ You will receive a notification once your box is shipped, with your tracking information. 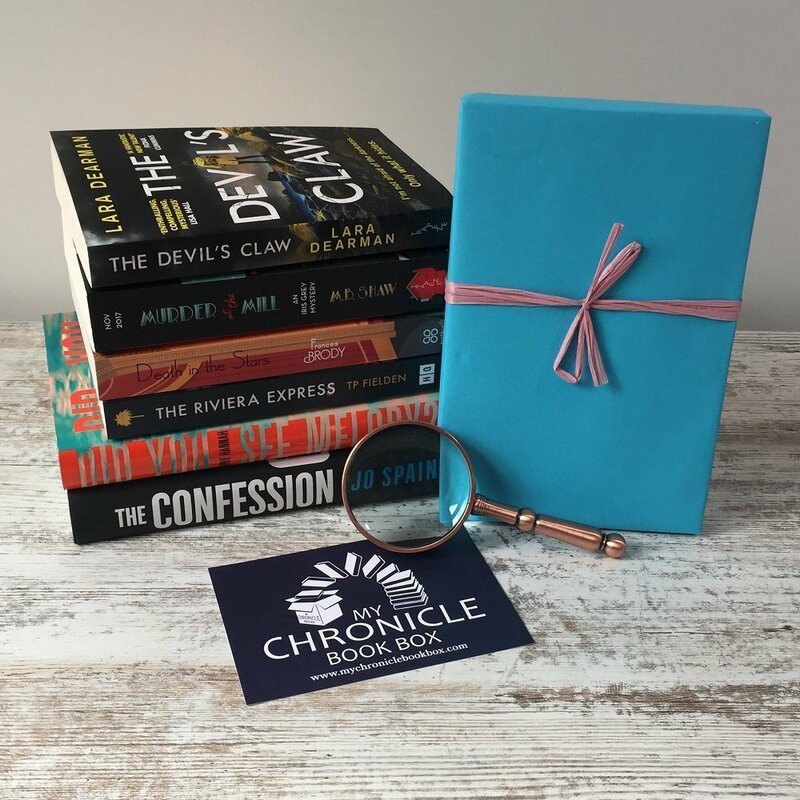 If you do have any more questions checkout our FAQ page, or get in touch using our Contact Form, or email contact@mychroniclebookbox.com. Firstly it arrived with perfect timing as I’d literally just finished the book I was reading, so that made me super happy. I’m pleased with all the books and I’m looking forward to working my through them. 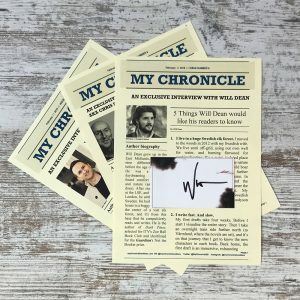 I was a little disappointed with the tea, only because I personally don’t like it but the lip balm (Gone with the Gin) was lush, the print has pride of place on my mantle piece, I’ve already started to use the notebook to record the books Ive read so far this year and I enjoyed reading the interviews. Very pleased with the book box. Presentation of the box was flawless with great attention to detail. There were three crime books plus a selection of book goodies. Personally I think this box is expensive compared to others on the market. 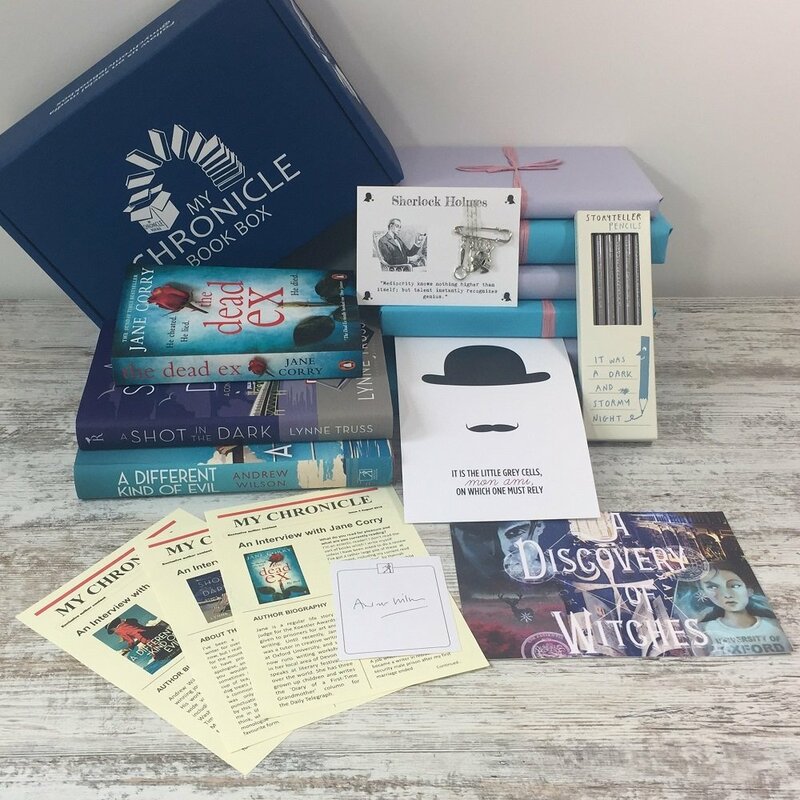 Books were a fantastic choice, absolutely perfect! I was soooo excited to get my box. It didn’t disappoint.